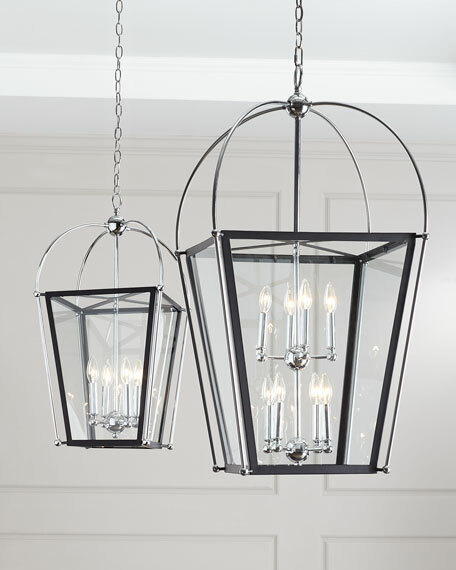 The 8-Light Foyer Pendant welcomes you home in style with a lantern structure that is open and airy. It is finished in matte black with polished chrome accents. 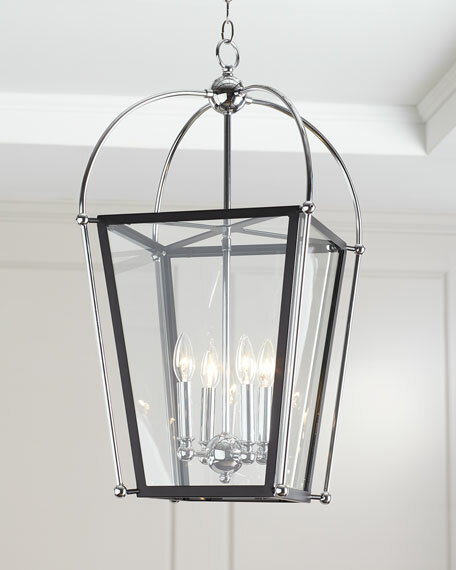 Eight-light pendant with cage exterior. 10 ft. chain, 12 ft. wire. Back plate: 5.1" x 0.8". Weight, 27 lbs. Boxed weight, approximately 35 lbs. 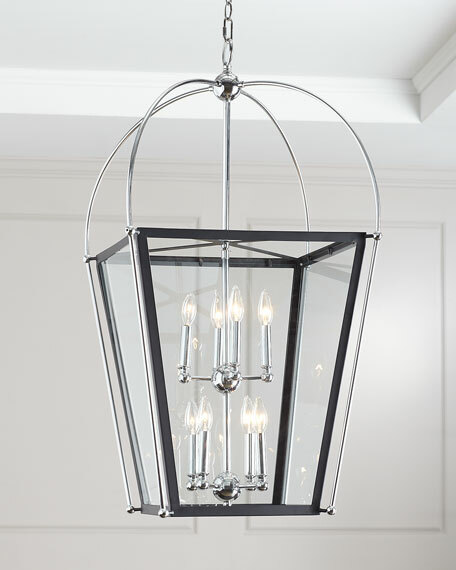 The 4-Light Foyer Pendant welcomes you in style with a lantern structure that is open and airy. It is finished in matte black with polished chrome accents.